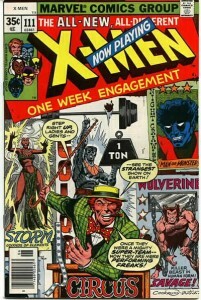 I vividly remember the day in 1978 when I walked into the local 7-11 and discovered a copy of Uncanny X-Men #111 on the wire comic book carousel. 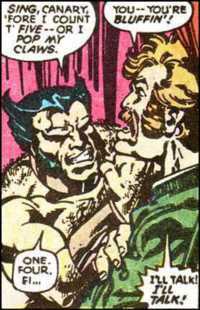 It wasn’t until later that I realized I had embarked upon a journey through the golden age of X-Men comics by the legendary Chris Claremont and John Byrne, though I was aware enough to be mesmerized by this short, hairy and cantankerous Canadian hero who went by the name of THE Wolverine. For the next few years, my best friend and I would talk endlessly about every single revelation of Wolverine’s past. I even started a notebook tracking all references of his life before he joined the X-Men. Later it became a Word document that I updated and rewrote as more and more entries sprang to life from the pages of various Marvel comics. After more than 25 years, I finally decided it was time to put it on the Web and let others enjoy the fruits of my obsessive compulsion. So in the pages that follow, I have attempted to make sense of that past, weaving a chronological tapestry out of Wolverine’s frustratingly enigmatic life as James Howlett, Logan, Weapon X and Wolverine. In this, the fourth edition of the Wolverine Chronology, I have made significant changes to accommodate the waves of origin stories that have been produced over 30 some years, each building (and sometimes contradicting) the stories that came before them. Now as you read each chapter of Logan’s life, you will see the evolution of his origin over time, beginning, for instance, with Chris Claremont’s mystery-shrouded foundation, followed by Larry Hama’s overly confusing, at times self-contradictory Cold War tapestry, all the Way to Wolverine: Origins and its overarching tale of subjugation, brainwashing and abject criminality. “Wendigo,” Wizard Wolverine Masterpiece Edition, Dec. 2004. I am so happy for you DiG. Your site is really coming together and you have put the best site out there for Wolverine fans. You are a truly amazing fan. I pray that you get your writing noticed by Marvel Comics. You deserve it. You have my best wishes.